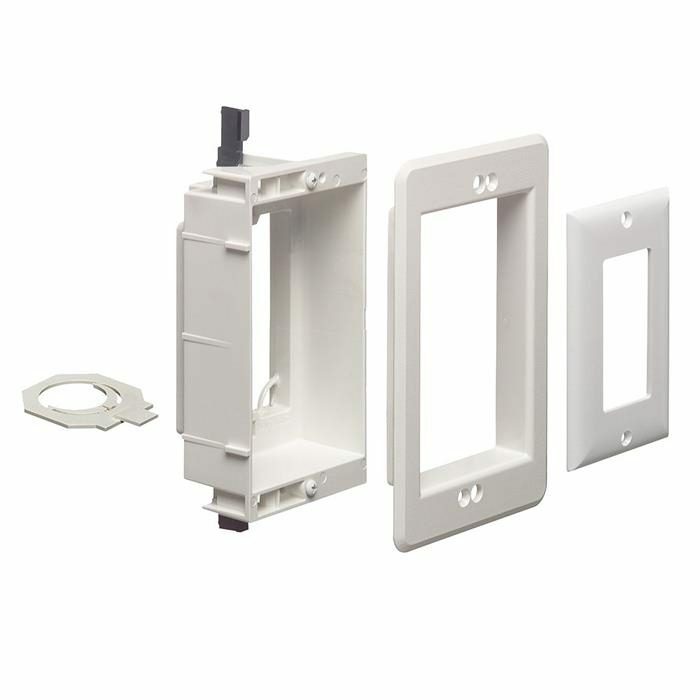 The LVU1W is a recessed, one-gang low voltage mounting box suitable for installing low-voltage Class 2 wiring in both retrofit and new construction. 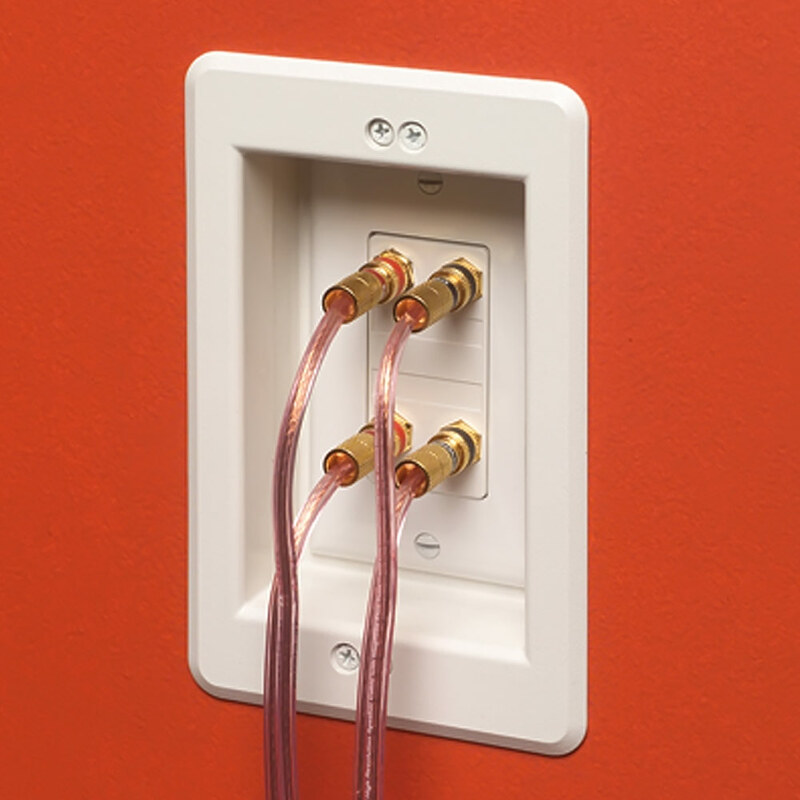 The recessed design makes it ideal for use behind TV’s or any location where extra space is needed. Internal Depth Front Flange to Trim Plate: 1.375"
Side Wall Thickness - 0.085"
Front Flange Thickness - 0.130"
Included: (1) Device Plate, (1) Trim Plate, and (4) Mounting Screws. The LVU1W allows for versatile installation because it can be used in both new and retrofit construction. Installation is quick and easy in both settings. Simply use the bracket as a template for the cut-out. As the mounting screws are tightened, the specially designed wings flip up, locking the box firmly in place. Attachable knockouts for cable raceways are included for use in new construction and snap on with ease. The LVU1W also feature includes loops to tie-off wires. The non-metallic trim plate is constructed of paintable plastic that grants a smooth match for any dйcor. 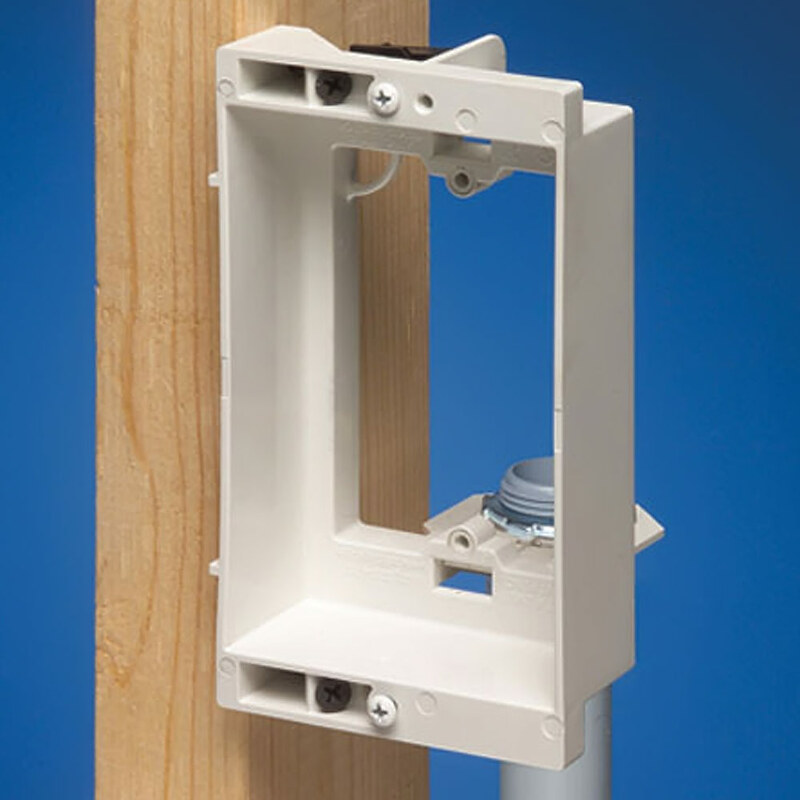 The LVY1W also adjusts to fit 1/4in to 1-1/2in wall thicknesses and so can be used in almost any application.